Come to the Lake! Enjoy this adorable 2-story detached townhome in great condition in the cozy waterfront community of Ridge Harbor, set on the banks of Lake Travis. 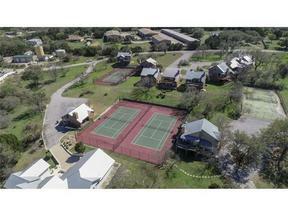 Residents enjoy tennis courts, swimming pool, boat ramp, walking trails, fishing & more. Composite decks up & down, upgraded metal roof, high ceilings, open floor plan, fresh exterior paint & new grinder pump. Perfect for weekend getaways or full time living. Short term rentals currently allowed!